UMP | University of Minnesota Press Blog: Listening to students—especially the most marginalized. Listening to students—especially the most marginalized. There was a sense of eagerness in our exchanges. Students wanted to help out with the research, have their voices heard, or simply have fun. They seemed to enjoy the break in the routine when they were excused from class to talk with me or with students from the Claremont Colleges. One sophomore even explained, “There’s a lot of propaganda going on covering the school. I want to puncture a hole and just let it out.” As I listened to students’ stories, I was reminded of the importance of creating spaces where students can share their experiences and thoughts. In most educational debates, students’ voices are muted. 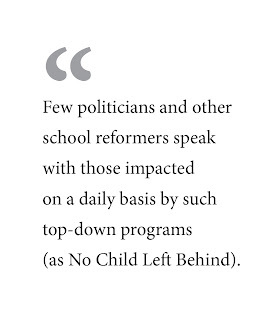 Politicians, pundits, and the public talk at length about academic achievement gaps. New programs are instituted -- No Child Left Behind, Race to the Top, Common Core, Smarter Balanced. These programs and the curriculum and tests that accompany them are marketed with the pretense that they are best for students, schools, and society. 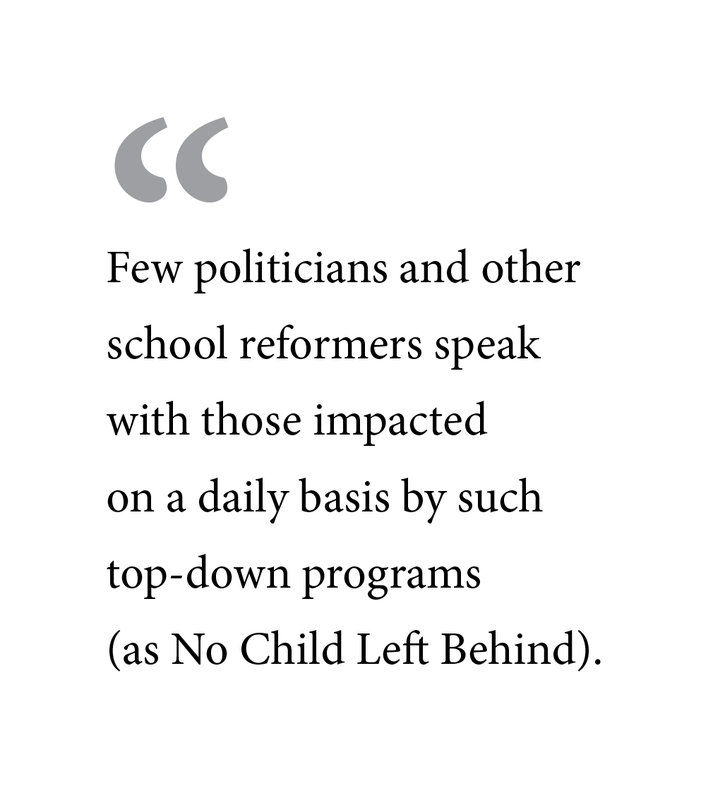 However, few politicians and other school reformers speak with those impacted on a daily basis by such top-down programs. Instead, students and teachers are evaluated quantitatively as though performances on standardized tests are meaningful indicators of all that occurs in schools. As I reveal in Academic Profiling, going inside our schools and listening to students is more telling. “Smart and stupid -- they’re smart; we’re stupid.” These words rang loudly as I listened to students describe themselves and their schoolmates. Without prompting, characterizations such as these rolled off of their tongues. The frequency and ease by which many used such labels revealed the normalization of these descriptions. They are part of the campus culture permeating students’ experiences. Like most U.S. schools, students at this Southern California high school are funneled through a system of curriculum tracking in which they are placed into advanced, honors, college prep, and vocational courses. Middle- and upper-middle-class students predominate in the more prestigious courses, while their poor and working-class schoolmates are largely absent. This system of tracking prepares students for unequal academic opportunities and life paths. It also fuels stereotypes about students’ intelligence. This process of sorting and labeling students is compounded by policies stemming from the era of No Child Left Behind. Based on how students and whole schools perform on standardized tests, students are cast as “advanced,” “proficient,” “basic,” “below basic,” or “far below basic.” These categories and the tests used to determine them are believed to be fair and accurate measurements of students’ abilities. Thus, socio-economic inequalities and other disparities are overlooked, and the labeling of students sticks. With the intensification of zero-tolerance policies in schools, Black and Latino boys are overrepresented in detentions, suspensions, and expulsions. Students at the Southern California high school recount such unequal policing in which middle-class Asian American students in the top academic classes describe getting a “free pass” while their working-class Latina/o and Black schoolmates face more questioning, restrictions, and punishment. As a result of such experiences, many students urge: Don’t judge a book by its cover. They yearn for spaces where they are not profiled. 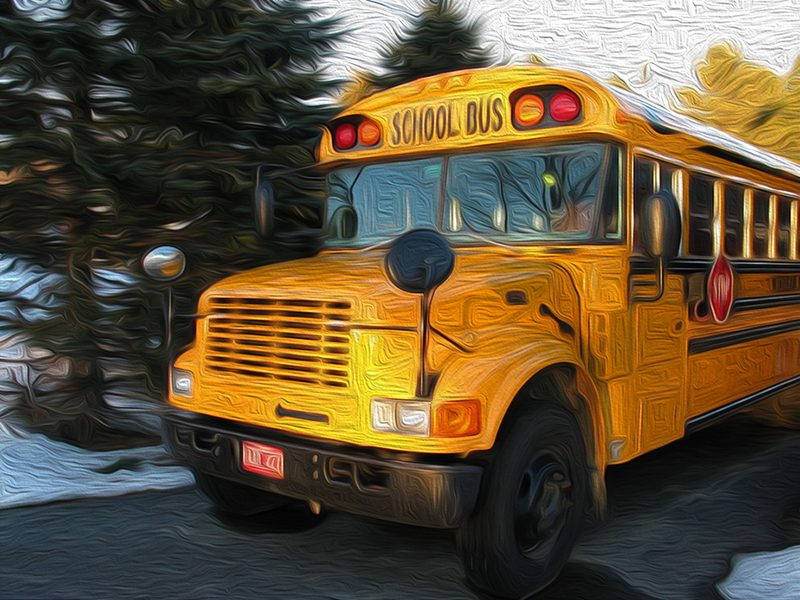 These pleas reverberated across students’ stories, offering us crucial lessons. They inspired me to rethink the climates greeting students at the school gates and to ask what is lost when some students are forsaken as “stupid” and profiled, sorted, and steered away from their full potentials. As a nation, we will all benefit by going back to school to listen to students – especially those who are the most marginalized. They have a keen understanding of what really needs changing within our schools precisely because they experience the consequences of our current practices every day. Gilda L. Ochoa is professor of sociology and Chicana/o–Latina/o studies at Pomona College. She is author of Academic Profiling: Latinos, Asian Americans, and the Achievement Gap; Becoming Neighbors in a Mexican American Community; and Learning from Latino Teachers, in addition to being coeditor of Latino Los Angeles. 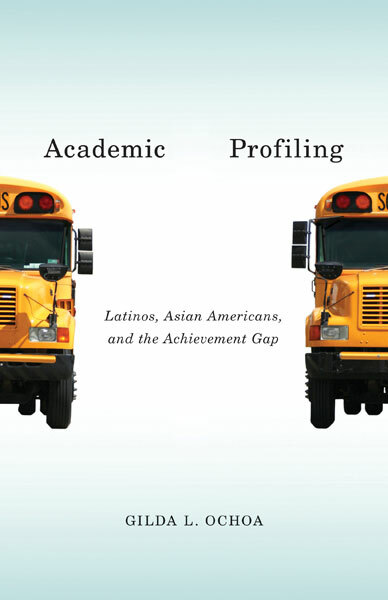 "Remarkably provocative and perceptive, Academic Profiling is a meticulously researched and masterfully argued comparative study of how the system of schooling, contrary to the rhetoric of equal opportunities, re-enforces the achievement gap and reproduces disparities. With ethnographic insight and analytical precision, Gilda L. Ochoa details how immigration, racialization, class, and gender differentially impacts the educational trajectories for Asian and Latino students, and presents compelling lessons for transforming the context, culture, and process of learning." "In the absence of an all-encompassing social movement, Ochoa demonstrates how only a courageous, power-conscious, counter-hegemonic curriculum can act as a counterweight to divisive policies and practices like student tracking. Ochoa has done the important work of addressing the complexities of Latino/a and Asian American schooling in one community and given us a language, framework, and perspective with which to discuss and critique it." What a difference this will make I wish we would have had a voice 60 years ago, I asked my counselor what I needed to get in to college, he said " you are a pretty Mexican girl and will be married and don't need college" in other words back then Mexican girls would not make it in college. So I quit school and got married! Thank you for sharing your experience. These narratives are important to document. Unfortunately, too many students still encounter such academic profiling either from messages like the ones you encountered or school practices such as curriculum tracking and zero tolerance policies. The key point to being unique is reading as many essays as possible that have been written by students previously. custom writing service However, students do not have a great access to previous entrance essays. Greetigs! Hope you are doing well. I like the way you write and presentive your ideas and views. Your post will be quite helpful for every student. Please keep it good posting. Also for every student will be really helpful essay writing reviews , because I am sure that every studnet have a lot of writing problems.